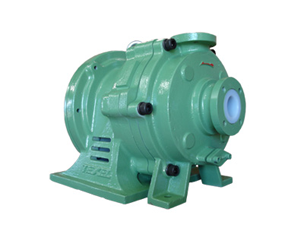 Magnetic Drive MAXP Series of pumps has been engineered to fully conform to ANSI B73.3 standards. Its rugged construction and proven design features make it ideal for use in chemical installations. 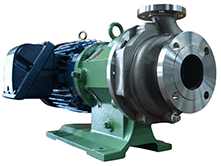 MPL/MP Series - Mag Drive Pumps are the compact efficient and dependable choice for medium-flow, medium to high head applications. 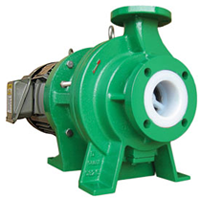 MPL Series pumps process side conforms to ANSI B73.3 dimensions. Excellent for High Temperature service. 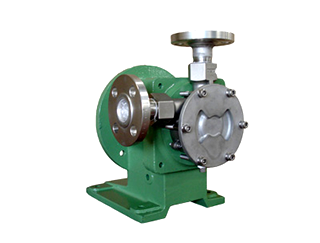 MPH Series - Mag Drive Pumps designed for low flow, medium to high head, high-temperature applications. 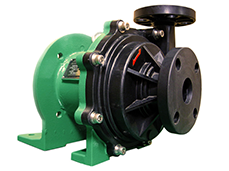 MPH Series pumps save valuable space and eliminate alignment problems. 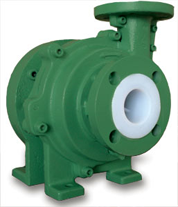 MEP Series- Magnetic Drive medium duty, polypropylene thermoplastic pumps designed for chemical transfer applications. Simple construction allows for economical first cost and ease of maintenance. 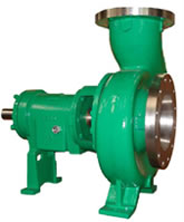 MMP Series - sealless, Mag Drive, centrifugal, pumps are heavy-duty pumps with superior bearing materials for very low flows. 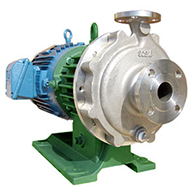 These close-coupled pumps are similar to the MP/MPL Series. Chemsteel SM Series - Magnetic Drive Pumps are designed to handle corrosive liquids that need to be pumped at pressures up to 150 psi. 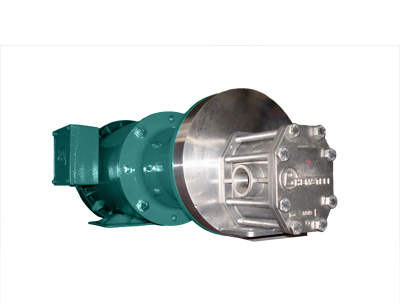 These pumps are manufactured to extremely precise tolerances. 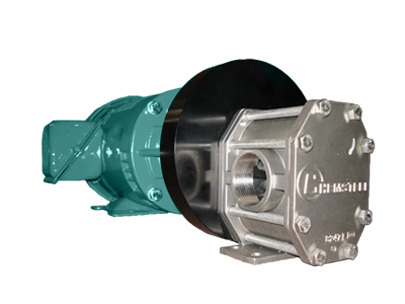 Chemsteel S Series - Magnetic Drive Pumps are designed to handle corrosive liquids that need to be pumped at pressures up to 150 psi. 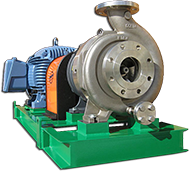 These pumps are manufactured to extremely precise tolerances. 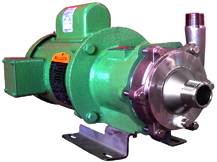 MPT Series - sealless Mag Drivre turbine vane pumps are designed specifically for small flows at high heads. The MPT Series features close-coupled construction similar to the MP Series. Heavy duty, rugged, world class quality, ANSI process pumps manufactured to meet the latest ASME B73.1-2001 standard (revision of ASME B73.1M-1991).